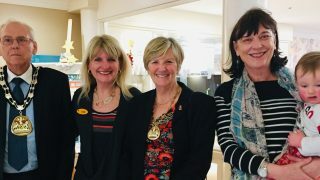 Maycroft Manor, our highly-anticipated new care home in Brighton, was officially opened last week by television and radio presenter Gloria Hunniford who described the home as “the cutting edge of what a care home should be”. was that such a facility was available for the residents of Brighton and beyond. 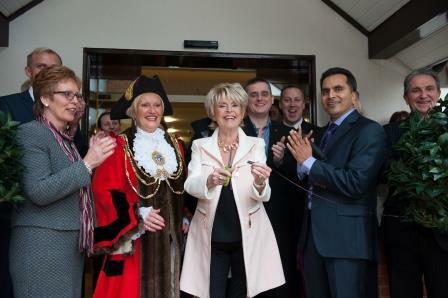 The grand opening was followed by a successful community open weekend attended by over 500 local people. include a luxury cinema, two cafes, a shop, and rooftop gardens. 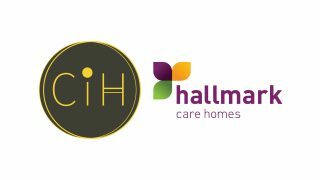 The much-talked-about home has been designed around our relationship-centred care and dementia strategies, which concentrate on empowering and enabling residents to live an active and fulfilled life. 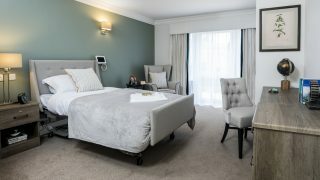 Facilities such as the ‘Corner Shop’ and the various ‘Residents’ Laundry’ rooms encourage independent living, while the state-of-the-art cinema and the relaxing therapy room are luxurious retreats. 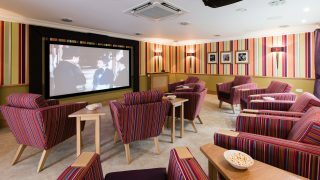 There are two large cafés where residents and their family members can enjoy fresh coffee and homemade cakes, as well as numerous beautifully designed lounges and dining rooms. 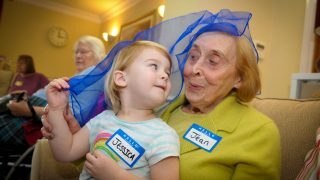 Maycroft Manor’s specialist dementia environment features its own café, hair salon, and laundry room, which provide vital ‘destination points’ for those living with a form of dementia. furniture has been designed especially for residents living with dementia. 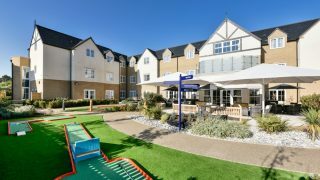 Outside space is easily accessible, encouraging residents to spend time in the landscaped gardens which surround he home. There are outdoor terraces on each floor, allowing residents living on all floors access to outside space. There is also a spacious rooftop garden complete with raised planters and greenhouse. “This building is beautiful and the facilities we have are exceptional. 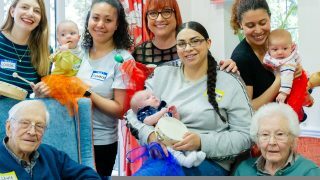 However, that’s just one part of it – the other part, of course, is the outstanding level of care which we will provide to every one of our residents”. 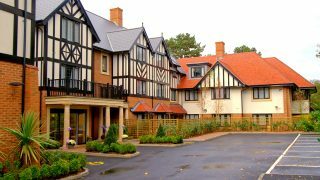 Maycroft Manor provides nursing, residential and dementia care.